The Golden State Warriors’ spring success might decide the fate of Mark Jackson. In an odd twist of fate, it appears as though ownership subscribes to the Janet Jackson theory: What have you done for me lately? 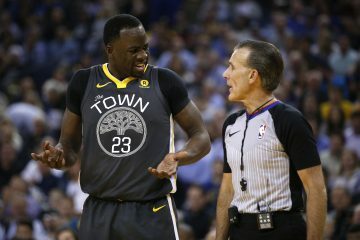 Jackson is on the verge of taking the Warriors to consecutive postseasons for the first time in over two decades, and yet, an argument could be made that he is on the hot seat since he has yet to receive an extension, and his contract ends at the end of next season. Murmurs about possibly jettisoning the coach have crept up. To me, it’s one of the most unfair things that I’ve seen in a long time. And it truly is a team that’s 18 games over .500. Eighteen. And we’re talking about firing a coach with 10, 11 games left? Success is a drug, and just a slight taste of it can leave some yearning for more. Remember, Stephen Curry flourished and became one of the top five point guards under Jackson. Perhaps he would have gotten there anyway, but Jackson was smart enough to give his star enough rope to make mistakes and learn, whereas the previous regime often pulled him from games. What’s more, many viewed David Lee as a player that only put up numbers on losing teams, but Jackson’s influence landed him in the All-Star Game. In addition, several laughed at the idea that the Dubs could ever become a defensive team, but Jackson has them on track to finish 2013-14 as one of the five-best teams on that end. I mean, we are 10 games over .500. Some of you guys haven’t seen that in a long, long time. So keep on acting like you have. Jackson is absolutely right on this front. Whether we agree or not, Golden State’s head coach has essentially put the team on the map. In the same breath, it’s difficult to ignore some of his warts. Jackson has remained resolute with respect to playing Harrison Barnes, regardless of his struggles. Obviously, it’s important for the second-year forward to continue developing, and game reps offer an opportunity to improve and gain confidence. However, Jackson typically stays with Barnes a bit too long, and the Warriors’ offense suffers for it. In addition, the coaching staff has continued to distribute minutes to reserves by utilizing hockey-style substitutions, which prompted a piece outlining how minutes should be handed out in the playoffs. The bench units have demonstrated they can carry the load defensively, but the scoring drastically suffers. These two issues have resulted in Jackson catching a bit of flak from fans. What’s more, Jackson forced the reassignment of assistant coach Brian Scalabrine to the Santa Cruz Warriors (D-League), in a move that many opined was a telling sign of troubled waters in Golden State. Bleacher Report’s Ric Bucher has since refuted such claims, by sharing that Jackson and Scalabrine clashed mostly because the assistant had trouble acclimating himself to the style of the headman, but some skepticism still remains. It seems fairly apparent that ownership does not feel as though Jackson has done enough to warrant an extension, which makes one wonder what the breaking point is. 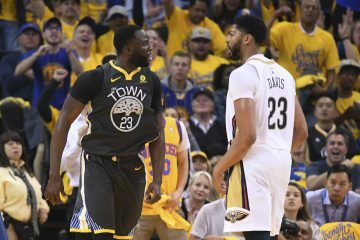 The Warriors made it to second round of the playoffs last season, but it’s tough to determine whether a return trip there will be enough to placate those in charge. 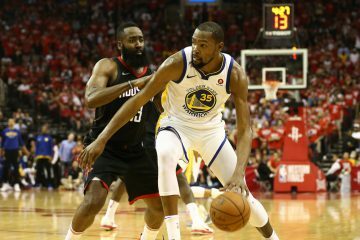 The San Antonio Spurs, Oklahoma City Thunder and Los Angeles Clippers are outright favorites to make it to the Western Conference Finals, which means Golden State is technically not in the discussion. Granted, Jackson might get them there, but what if he doesn’t? The scenario becomes even more puzzling when we take into account the fact that the Warriors could draw one of these teams in the first round. Joe Lacob might be compelled to dismiss the most successful Warriors coach of the past 20 years. Thus, we are left to ponder what accomplishment could provide Jackson even a semblance of job security. 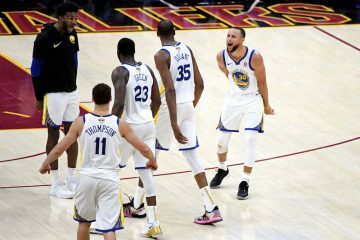 Surpassing last season’s heights is likely the way to go, which means Golden State must make it to the Western Conference Finals at the very minimum. It’s not impossible, but such a feat comes with numerous challenges (health, chemistry and Barnes’ struggles) that Jackson might fail to overcome. If such is the case, he might very well be the odd man out. In the event Jackson is shown the door, it stands to reason that Golden State will have to find an unemployed head coach with an impressive track record to take over. Otherwise, why bother getting rid of the guy that’s brought in a winning culture to Golden State? Jackson’ situation brings forth more questions than answers. But this here seems clear: Unless the Dubs upset a few teams in the postseason, Jackson might no longer have a future with the franchise. Not that it matters, Jackson is only the dude that prompted all these expectations with his success in the first place.